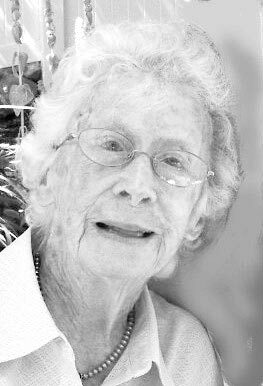 Ruth Murray Wilcox, beloved wife of former Foote Memorial veterinarian Dr. William A. Wilcox, died at the age of 101 on November 20, 2013 after living a long, full life. She was born and spent her early years in South Boston. She had a deep and lifelong interest in literature and the arts, enriched by working for ten years at Houghton Mifflin Publishing Company in the textbook editorial department. After marriage, she moved to Ohio with Dr. Wilcox while he completed his degree in veterinary medicine and she worked editing books and articles for professors. After World War II, Dr. Wilcox returned to the Angell Memorial Animal Hospital in Boston, and the family settled in South Weymouth. Mrs. Wilcox was an active member of the community, serving as a Girl Scout leader. In addition, she was a member of the Women’s Club and was proud of the work that group did lobbying to have “racy” magazines placed behind the counter to limit access by children. She continued her interest in sports—swimming, rowing, and tennis—and became an avid golfer. In 1957, Dr. Wilcox was transferred to the Foote Memorial Animal Shelter in Edgartown. Mrs. Wilcox continued her active life as a member of Little Theater working on props; the Hospital Auxiliary; the Edgartown Women’s Club, serving as president; the Edgartown Golf Club; and the S and B Ladies Club. Upon Dr. Wilcox’s retirement, he and Mrs. Wilcox became “snowbirds.” They moved from their home in Edgartown to a cottage on Crystal Lake in East Chop. She called the view from her porch “my ever changing painting” and enjoyed it in every season with her many friends and family. In winter, they escaped to their condominium in Boynton Beach, Fla., where they continued to play golf, go on cruises, and travel. Her obvious joy in life, determination to keep up with what was happening in the world, and wicked sense of humor filled friends and family with delight. Mrs. Wilcox is survived by her daughter, Leslie Dallenbach of San Antonio, Tex., her son William M. Wilcox and his wife, Shirley, of West Tisbury,; grandchildren Jeffrey Dallenbach of San Antonio and Neil Dallenbach and his wife, Melissa, of Golden Colo., Nora Wilcox and her wife, Amanda, of Providence R.I., Jennifer Cronin and her husband, Keith, of West Tisbury, and great-grandchildren Andrew, Cullen, and Amanda Dallenbach of San Antonio, as well as much-loved nieces and nephews. A Funeral Mass will be celebrated at Our Lady Star of the Sea Church in Oak Bluffs on Saturday, December 7 at 11 am with a reception following at the Ocean View restaurant on East Chop Drive. Donations in her memory may be made to the Vineyard Conservation Society, P.O. Box 2189, Vineyard Haven, MA 02568.